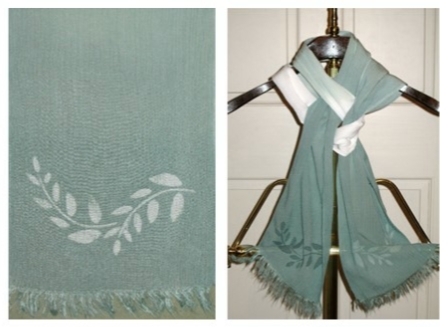 Ombre dyeing gives a nice subtle, ethereal look to fabrics. It looks harder than it actually is. 1. Wash the fabric in Blue Dawn (unless using PFD fabric). Note: Some instructions say to presoak the fabric in soda ash solution. I prefer not to do this to avoid too much color wicking up the wet fabric. 2. 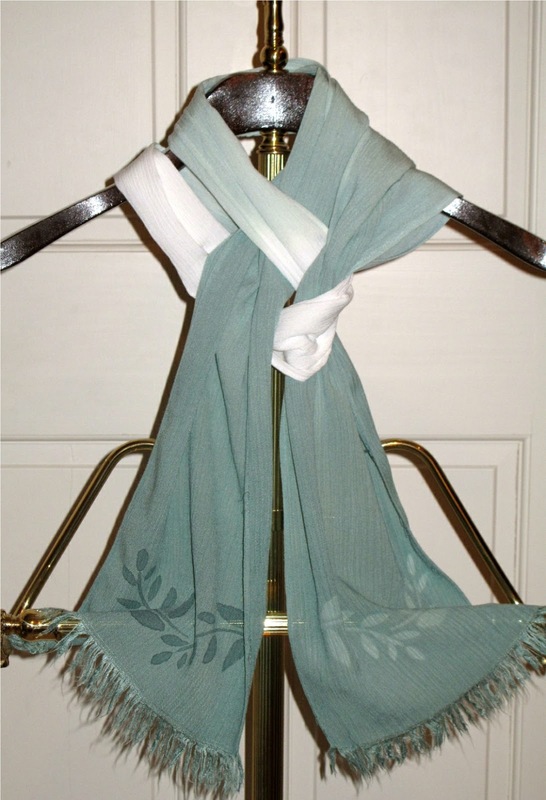 Use pins to mark increments along the length of the fabric. 3. Pin the fabric to plastic hangers for easier handling. 5. Place 2000 ml of warm Soda Ash solution in a plastic container. 6. For the lightest shade in your ombre pattern, add 2 ml dye concentrate to the soda ash solution. 8. 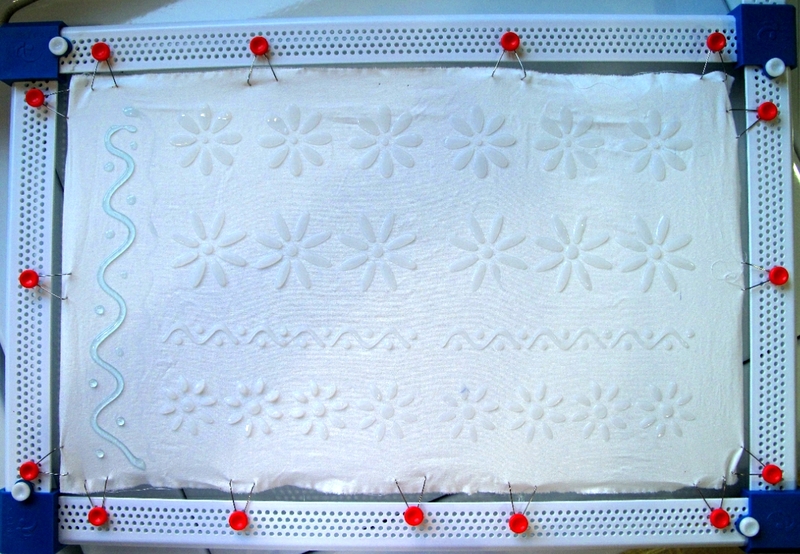 Dip fabric to the farthest pin and move up and down several times. 9. 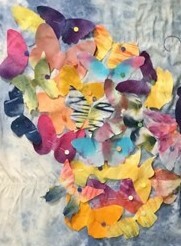 While holding the fabric above the dye tub, add 2 ml of dye concentrate and mix well. 10. 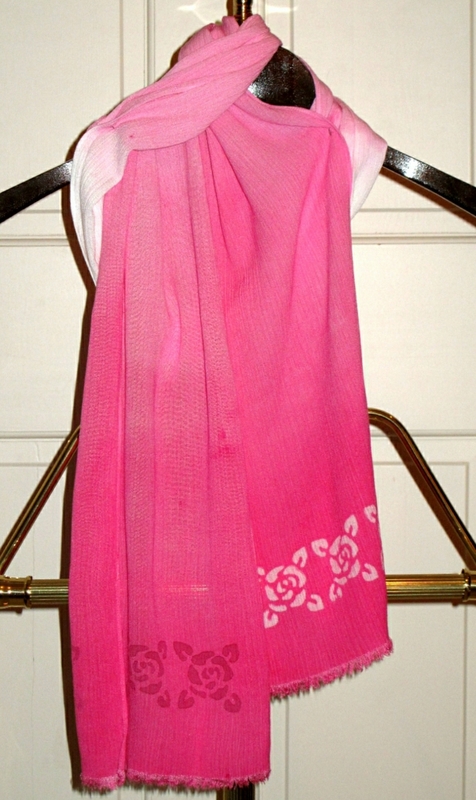 Dip the fabric the the second pin and move up and down several times. 11. Repeat steps 9 and 10 but adding 2 ml of dye concentrate each time until ten sections are dye at increasingly darker color. 12. Pull fabric out of the dye tub and hang over a container to collect any drips. 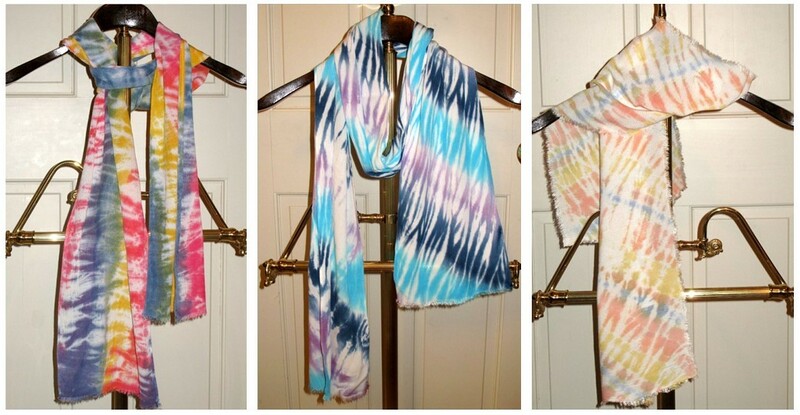 Allow dye to batch for 2 hours. 13. Rinse the fabric in cold water, wash in Blue Dawn, dry and iron. 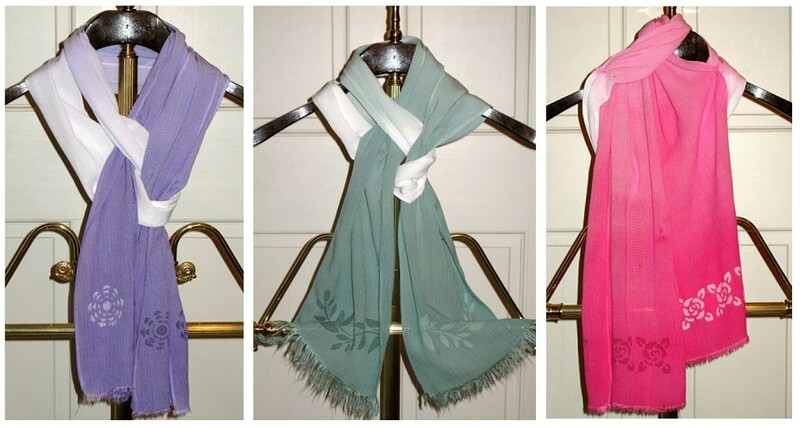 Some of my earlier posts included scarves that were ombre dyed. 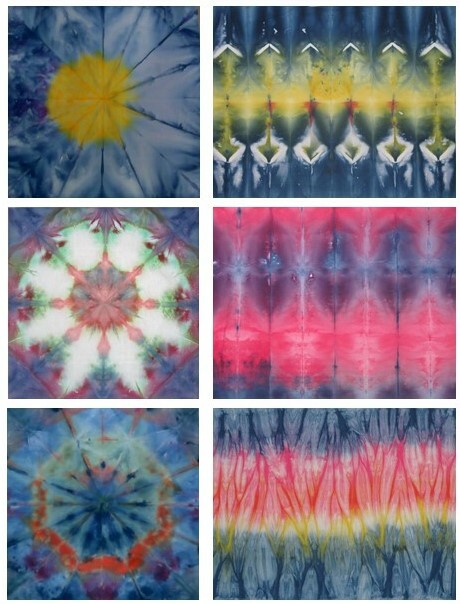 Here are some images to show some additional samples of ombre dyeing. 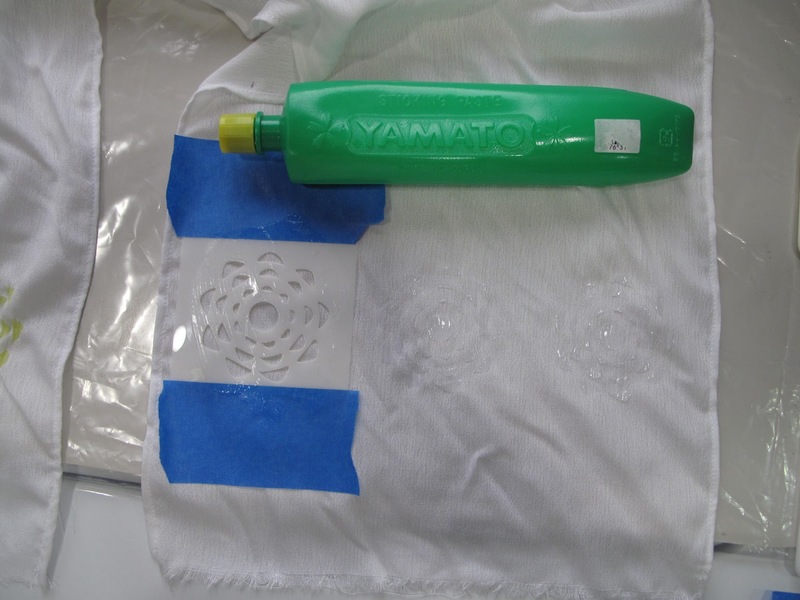 Katazome, is a Japanese method of dyeing fabrics using a resist paste applied through a stencil. 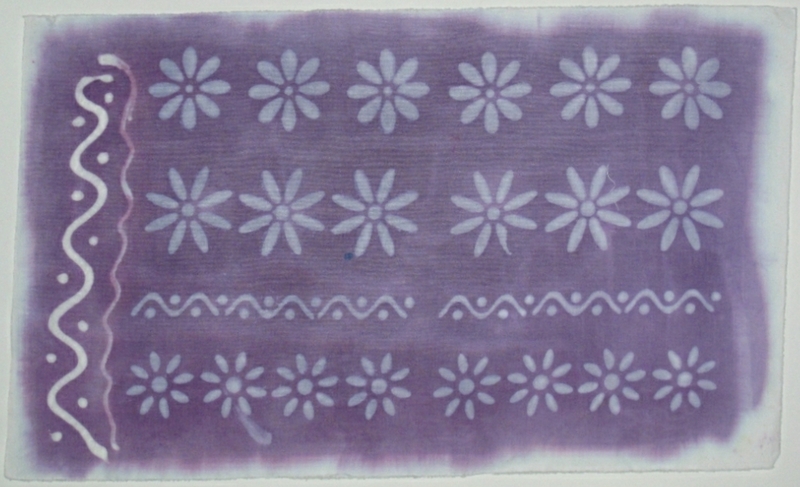 With this kind of resist dyeing, a rice flour mixture is applied using a brush or spatula. 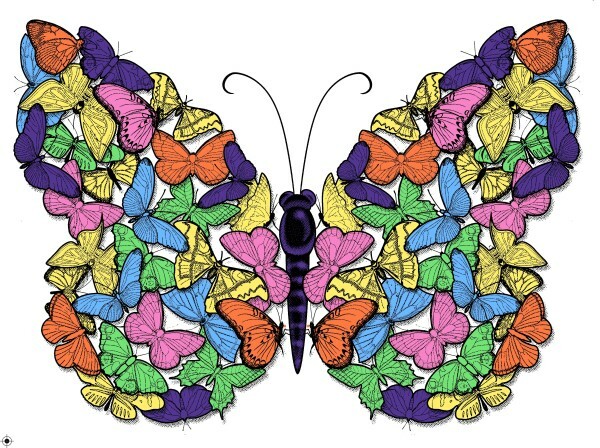 Pigment, or dye, is then applied by hand-painting, immersion or both. 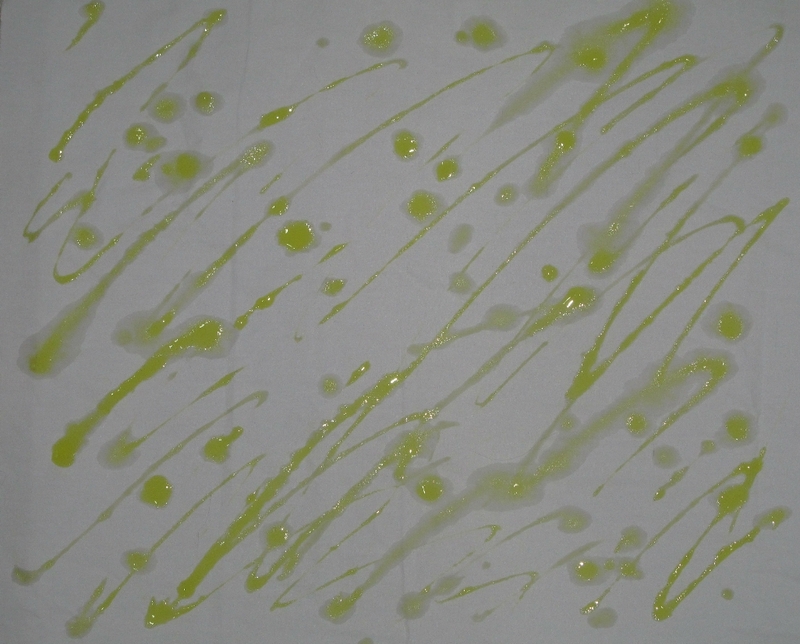 Where the paste mixture covers and permeates the cloth, dye will not penetrate. 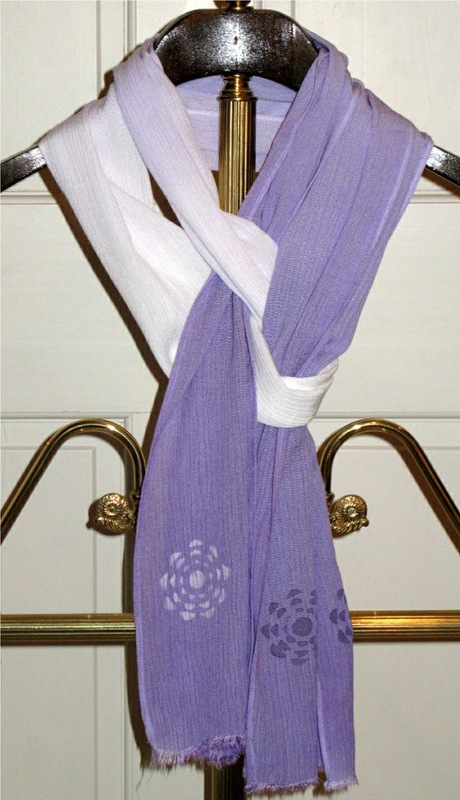 One of the biggest attractions of katazome was that it provides and inexpensive way for an over-all pattern. Traditional katazome is quite labour intensive. In traditional Katazome, the stencil is made by bonding multiple layers of mulberry paper together and waterproofing with persimmon tannin, resulting in a strong, flexible brown colored paper. 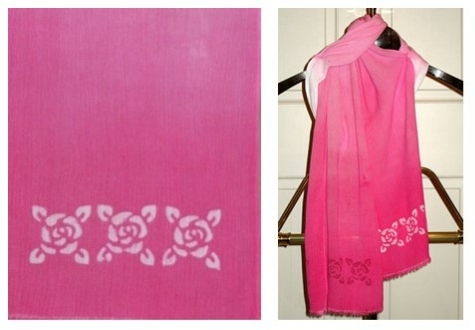 The intricate designs are then cut by hand with a knife. 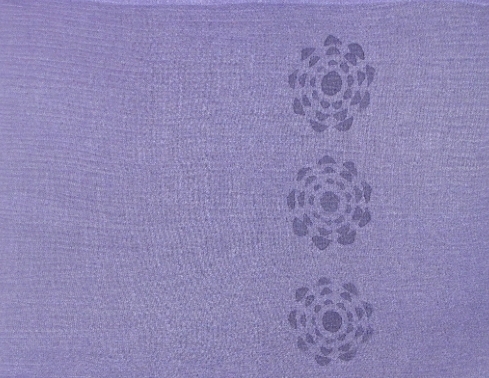 The resulting stencil is stabilized by overlaying with a fine net of silk. This seemed way too complicated and time consuming. 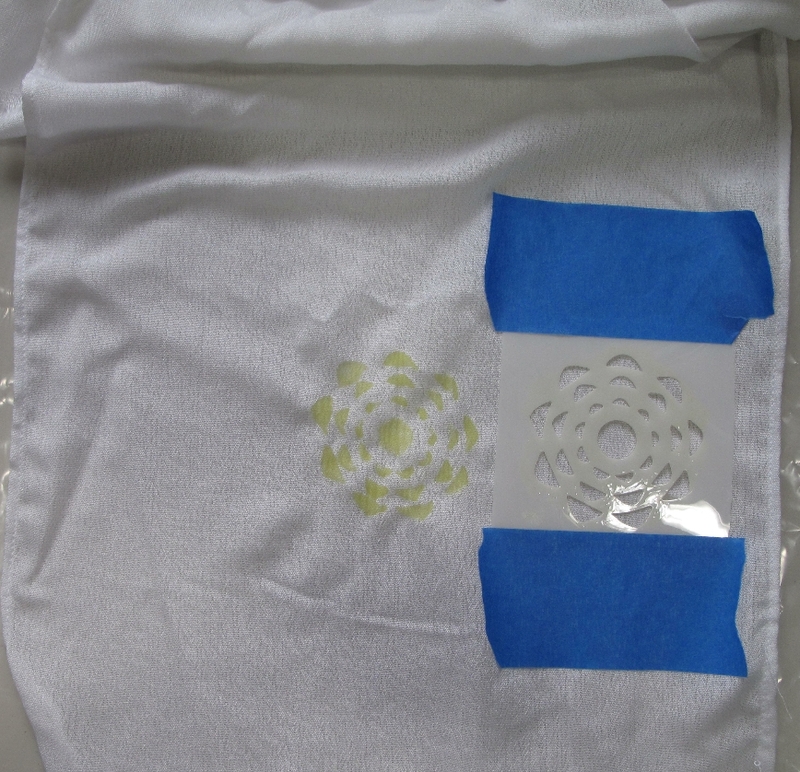 So, I decided to use an existing plastic stencil for my first trial. For additional stencils, I used my Cameo to cut custom designs. Nori Paste applied through a plastic stencil. Far left shows Elmer’s School Glue drawn on. Traditional Katazome paste is made using a complicated process (John Marshall has a very good description at http://www.johnmarshall.to/H-Resist.htm). While checking on-line for easier methods of making the paste resist, I found that Amazon carries a type of glue called Nori Glue that is made from rice and is water soluble. I purchase some and found that it was an inexpensive, easy and satisfactory paste resist. I also tried Elmer’s school glue. 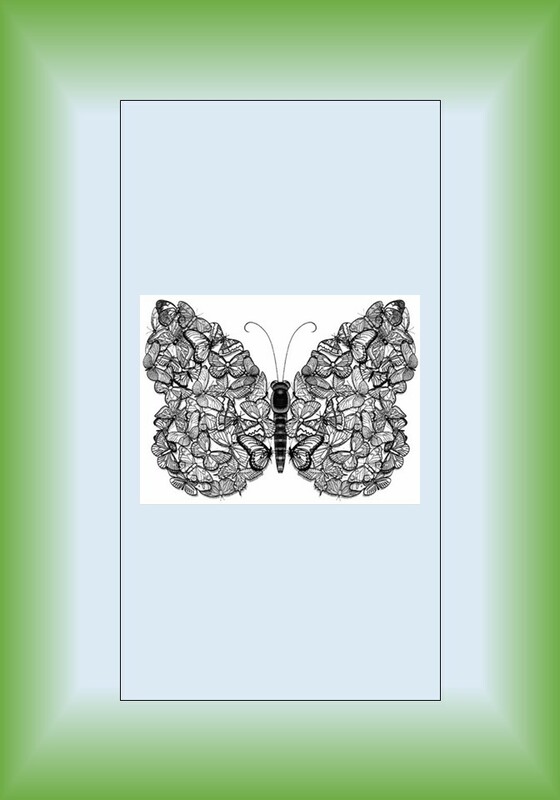 This works well as a resist for drawing but was not a good stencil resist. 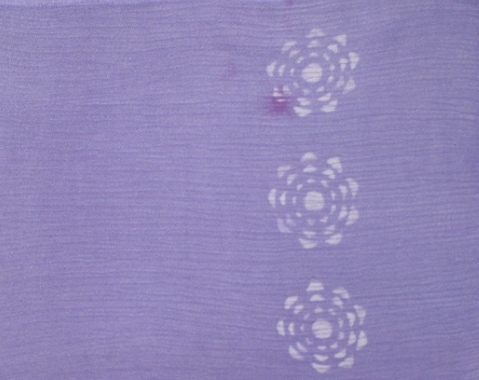 Resulting fabric after dyeing with Purple Procion dye. I liked this technique. 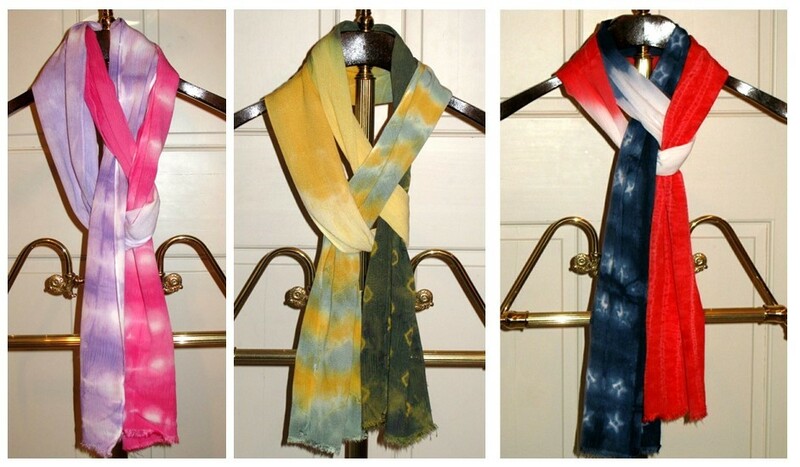 So, I decided to try making some scarves. Rayon gauze 12″ x 90″. Dip in dye (Lilac) to create Ombre effect. Rinse, wash with Blue Dawn and dry. This stuff is amazing! 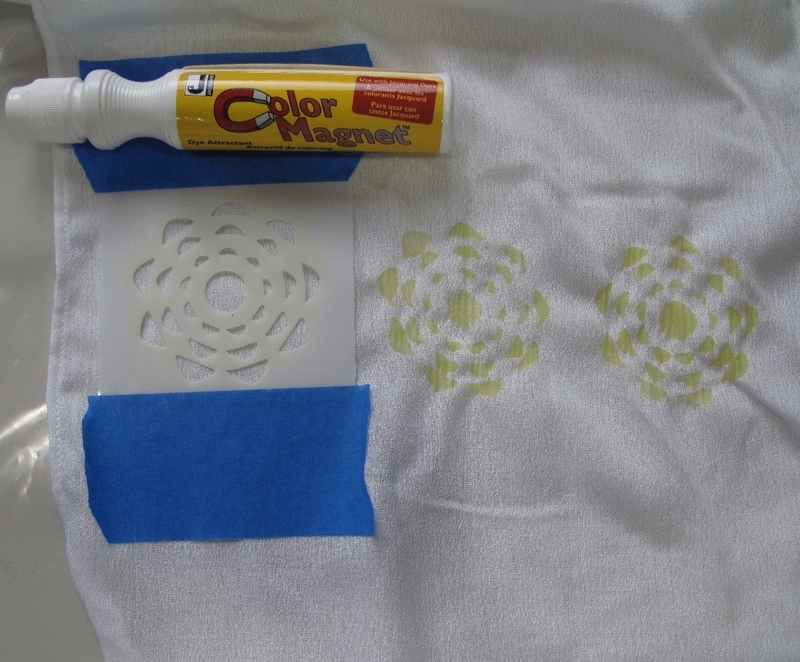 That’s how the description of the Jacquard Color Magnet starts on the Dharma Trading website. After reading that, I was intrigue and wanted to find out more . 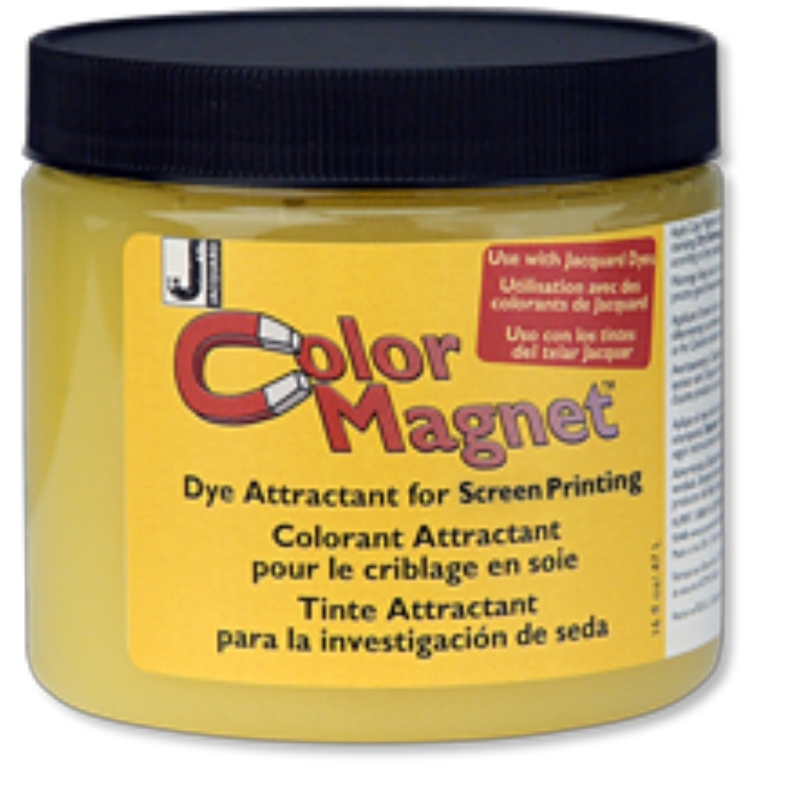 Color magnet is a dye attractant that magically attracts more dye where it is applied, creating a unique, two-toned effect. 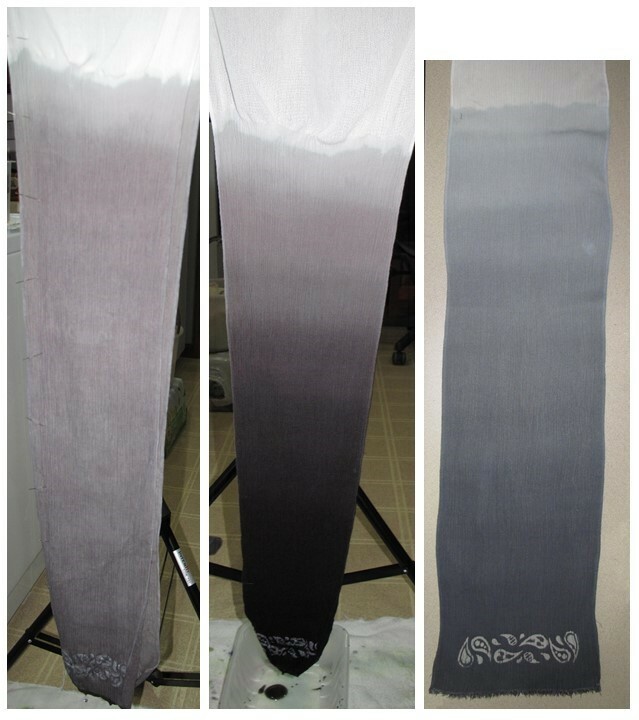 The more dilute the dye, the greater the contrast of color. 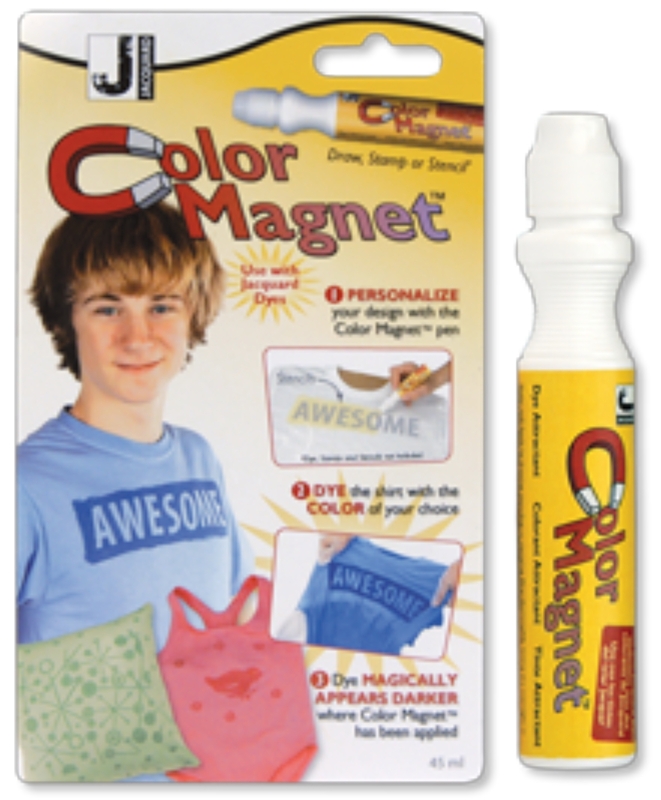 The color magnet has no binder, so it washes out completely after dyeing, leaving your fabric nicely colored but unchanged in how the fabric feels. The color magnet comes in two forms. A roller ball pen form that can be used for drawing or stenciling detail. And a one pound container that can be used for screen printing, painting or stenciling larger areas. Combed cotton fabric 12″ x 12″. 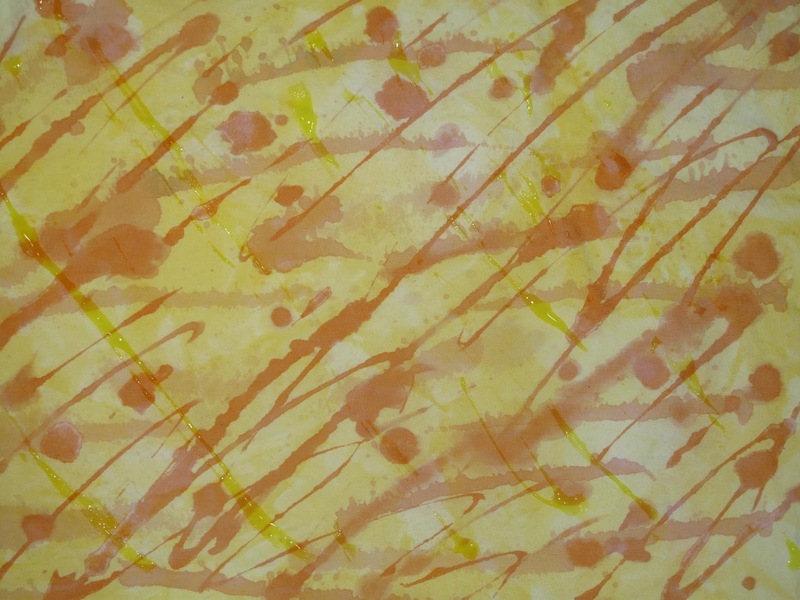 Soak in Golden Yellow dye (200 milliliters, 0.5 mg/ml) for 24 hours. Combed cotton fabric 6″ x 18″. Cover with plastic and allow to batch for 24 hours. 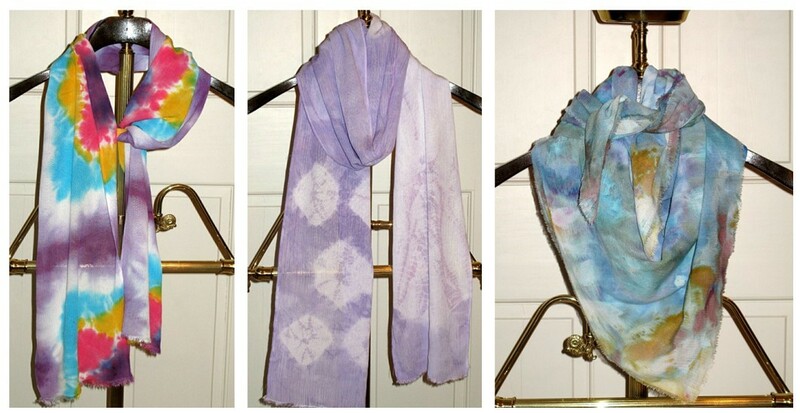 More on the actual dyeing tomorrow.